PlayGround Blog: Second PlayGround Film Festival Announced! 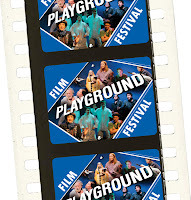 Second PlayGround Film Festival Announced! The lineup and schedule has been announced for the Second Annual PlayGround Film Festival, a leading showcase for the Bay Area’s best new filmmakers and writers and their short work. It’s the unique brainchild of PlayGround and Dances with Light, representing an incredible fusion of the local theatre and film communities. 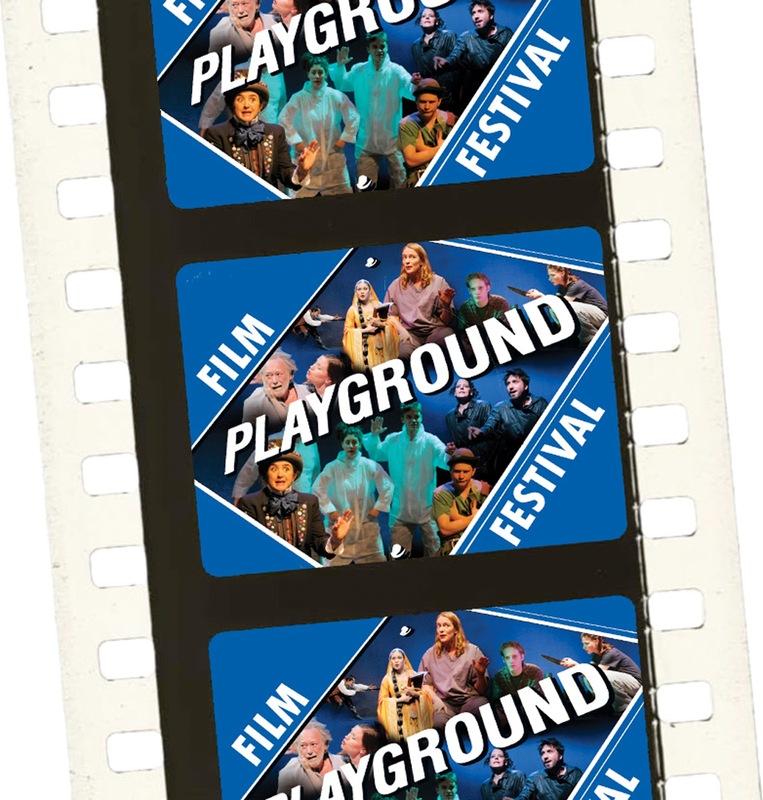 Ranging from comedy to powerful contemporary issues, the films are all adapted from some of the best short plays developed and produced by PlayGround over the last sixteen years and featured in the annual Best of PlayGround Festival. Each film has been created with the full collaboration of the original playwright and is followed by a short documentary about the writer. The Festival opens Wednesday, May 1 at Berkeley’s Rialto Cinemas Elmwood and continues through May 25 with additional screenings in San Francisco, Palo Alto, San Rafael and Berkeley. For tickets and more information please call 415-992-6677 or visit http://playground-sf.org/filmfest. Scroll down to see the complete schedule. Since 1994, PlayGround has been a leading incubator for some of the Bay Area’s most promising new playwrights, premiering 110 original short plays by 57 Bay Area emerging playwrights from several thousand submissions through its Monday Night PlayGround staged reading series and Best of PlayGround Festival. PlayGround has also commissioned 48 new full-length plays and supports the premiere of many of these works in partnership with Bay Area theatres through its innovative New Play Production Fund. PlayGround alumni include a who’s who of the Bay Area’s best up-and-coming writers, including Peter Sinn Nachtrieb, Aaron Loeb, Lauren Yee, Daniel Heath, Ken Slattery, among others, with many having their first professional production through PlayGround. PlayGround’s alumni have gone on to win not only local but also national honors for short and full-length work, including recognition at the Humana Festival, Sundance Festival, Bay Area Playwrights Festival, Aurora Theatre Company’s Global Age Project, Guthrie Theatre, Samuel French Off-Off Broadway Short Play Festival, and The Drama League’s New Directors-New Works series. Works have been premiered at numerous theatres throughout the Bay Area, including: Theatre Rhinoceros, San Jose Stage Company, Just Theater, and SF Playhouse. Of particular note is Aaron Loeb’s Abraham Lincoln’s Big Gay Dance Party which, following its premiere at SF Playhouse in 2008, received a sold-out run at the 2009 New York International Fringe Festival (named “Outstanding Play”), its off-Broadway debut in 2010, and was produced around the country last season. AEGIS follows the employees of a marketing firm as they compete to create the name for an enormous, wasteful, yet “green” sport utility vehicle. Under the direction of an abusive boss, they use modified acting exercises, or “Applied Marketing Dramatics”, to complete the task at hand. Director, writer, and producer Jonathan Luskin is a PlayGround veteran. He has received two Emerging Playwright Awards as well as a commission and short film grant for his play, Ecce Homo, featured in the inaugural PlayGround Film Festival. His work has been read at the Playwrights Lab, the Magic Theatre, and the Bay Area Shorts Festival. Jonathan has directed for theatre and film, animated visual effects, and is a co-founder of Flying Moose Pictures along with producer and director of photography Mark Leialoha. Mark has a passion for photography and film that spans over two decades, Mark has travelled throughout Europe, the US and Far East as a principal contributing photographer, his innovative and creative editorial & commercial photography featured in more than 75 magazines in over 25 countries. With extensive production skills, encompassing still & video camera operation, lighting, audio and editing, Mark offers a unique approach and vision to every project. THE SECRET LIFE OF A HOTLE ROOM sheds new light on the popular saying “if walls could talk.” Three parallel stories unfold in one hotel room, including that of a businessman and recovering addict looking for redemption, a middle-aged couple trying to get away, and a honeymoon couple barely coming up for air. Garret Jon Groenveld is among the founding writers of PlayGround, and a seven-time winner of the Emerging Playwright Award. His play Missives, originally commissioned by PlayGround, appeared in the Bay Area Playwrights Festival in 2004, premiered in San Francisco in 2005 at Theatre Rhino and in New York in 2008 at 59E59 Theatres. His play, The Serving Class also commissioned by PlayGround, won the Global Age Project from the Aurora Theatre in 2010. He was an inaugural Resident Playwright of the Playwrights Foundation and is a proud member of the Dramatists Guild. In 2012, filmmakers Greg and Mark Runnels saw their animated feature film Bukowski: An Animated Life get optioned by Forest Whitaker's JuntoBox Films, acquired a filmmaker's residency at the CSU Stanislaus BFA program, and nabbed a development deal with Plasschaert and Associates at Paramount Studios. Their previous submission for the PlayGround Film Festival was Kenn Rabin’s Reunion. Climax tells the story of Beryl and Mason, a Noel Coward-esque couple, dressing for a party they’re destined never to attend. Sean Owens is the author of over 35 short and full-length plays, and the film version of Climax, based on his play premiered at the 1999 Best of PlayGround. He is currently working on Gogol Dossiers, a commission from Do It Live Productions, and Magnitude, a play for women over 40, selected for the PlayGround Festival of New Works. In 2000, Jeremy Solterbeck created the animated Moving Illustrations of Machines, a dark, surreal piece on the topic of cloning, entirely with hand drawn ink artwork. After success at film festivals, Solterbeck crewed in different positions on film shoots and music videos, got up to speed with the emerging field of 3D animation, and began specializing in combining live action with visual effects. He set up a boutique post production house and honed his chops in the music video world working with artists such as Mike Patton and Dan the Automator. He strives to create highly original, conceptual work focusing on storytelling, humor, and the use of visual effects or animation to propel the narrative. produced by San Francisco Theater Pub in October. Filmmaker Amy Harrison likes to delight her audiences with short films about unseen worlds and dark possibilities. Her work has screened in places as varied as New York’s Film Forum, the Museum of Modern Art, on MTV, and at the Virgin Mobile Festival before an audience of 60,000 (at a Bob Dylan concert). She teaches at a film school in San Francisco. Obit is the story of an aging man and his daughter as they cope with his decline. Writer Geetha Reddy's plays include Safe House and Blastosphere (with Aaron Loeb,). She received the 2005-2006 June Anne Baker Prize, five Emerging Playwright Awards and multiple alumni commissions from PlayGround. Her plays have been included in the Bay Area Playwrights Festival, the Playwright's Revolution Festival, and the Playwrights Foundation's 'Rough Reading' series. Brian Tolle has written and directed short films for the past fifteen years. His most recent short, Tom Swift’s The Beginning, premiered at the inaugural PlayGround Film Festival and was recently selected for the Seattle and Palm Springs Gay and Lesbian Film Festivals. When he’s not producing his own films, he works as a visual effects artist for Hollywood movies. Since 2005 he has contributed to the visual effects for over twenty films. UNDONE explores the conflict between parents trying to cope, through acceptance and denial, with the possibly untreatable mental illness of their daughter. Writer Diane Sampson earned an M.A. in Creative Writing. She has penned two musicals, Oh, Progeny! and Writes and Re-writes, and the full-length plays, Charlotte Takes the Plunge and Naked, a 2010 PlayGround commission and recipient of the June Anne Baker Prize. Her short plays have appeared in venues as far afield as Miami and Seattle. Bruce Coughran is a freelance director headquartered in Berkeley who works on new plays, classics, experimental, and ensemble pieces. He is the founder of Indra’s Net Theatre in Berkeley in 2012. He is a member of Directors Lab West and Directors Lab Chicago, recipient of an SDC Observership, and a TBA ATLAS directing fellow. He is also an associate member of the Society of Stage Directors and Choreographers. Young Playwrights Contest Deadline Extended! PlayGround Gala an All-Star Success!